Soy un emprendedor. He podido poner en práctica mis ideas unas veces a través de las empresas que he fundado o ayudado a crecer, otras en mi experiencia en el sector público. Y siempre a través de los miles de alumnos a los que he impartido clases en varias universidades y escuelas de negocios. Escribo habitualmente en periódicos y en 2017 un centenar de mis artículos se recogieron en el libro Disrupción publicado por UNiR editorial. Soy doctor en ecomomía y ejerzo como profesor universitario desde hace más de 20 años. No obstante el asesinato de Miguel Ángel Blanco por la banda terrorista ETA marcó un punto de inflexión en mi vida lo que me llevó a ser diputado en el Parlamento vasco en tres legislaturas hasta que en 2005 me llamaron para implementar la estrategia de apoyo a emprendedores de la capital de España mediante la agencia Madrid Emprende , cargo en el que estuve más de 8 años. Desde 2014 soy director Deusto Business School en Madrid además de ser profesor de la Universidad de Deusto y de la Universidad Internacional de La Rioja, UNIR. Escribo habitualmente artículos en periódicos y medios económicos. He asesorado a gobiernos, universidades y grandes empresas en el lanzamiento de sus programas de innovación abierta. Recientemente el diario Expansión me incluyo entre los 50 mayores expertos en trasformación digital en España, y son varias las publicaciones que también me consideran uno de las personas de referencia en España en materia de ecosistema emprendedor. En 2012 publiqué y presenté en más de 20 ciudades el libro "Políticas públicas para los emprendedores". que ha servido de guía para que gobiernos de todo el mundo conocieran las mejores prácticas en materia de actuaciones públicas en emprendimiento. En diciembre de 2014 presenté mi segundo libro en solitario "Millennials, inventa tu empleo" que fue pionero en documentar la importancia del concepto "millennials" como la nueva generación de talento. En marzo de 2016 presenté una pionera investigación sobre la generación z elaborada por Deusto Business School y Atrevia que se actualizó en abril de 2017. Finalmente en diciembre se publicó el libro Generación Z con la Editorial Plataforma. En junio de 2017 coordiné el primer informe de situación sobre el emprendimiento corporativo en España junto a CISE y Neoris. En 2018 después de varias investigaciones sobre la economía del envejecimiento publiqué el libro La Revolución de las Canas con la editorial Planeta. Desde este blog trato de dar mis opiniones sobre emprendedores, tecnología, innovación, política o lo que surja. I am an entrepreneur in the broad sense of the term. I have been able to implement my ideas sometimes through the companies I founded, others in my public experience into the Executive and Legislative branches. And always through the thousands of students who I have taught for the past twenty years in several Universities and Business Schools. The murder of Miguel Angel Blanco marked a turning point in my life that led me to be member of Parliament in the Basque Country for three legislatures until in 2005 when I was asked to implement the strategy of support entrepreneurs in the Capital of Spain through Madrid Emprende Agency. I am also a PhD in Economics, college profesor, advise Governments on economic development and the founder of "Proyecto HAGO" asociation. I wrote the book "Public policies for entrepreneurs" and presented it in more than 20 spanish cities during 2013. I have written another book with the tittle "Millennials, inventa tu empleo" ; in 2015 will presented in several locations. In 2016, 2017 and 2018 I signed several research and books about generations and corporate entrepreneurship. Since june 2014 I am Director of Deusto Business School at Madrid and professor at UNIR university. From this blog I will try to give my opinions on entrepreneus, technology, innovation, politics and so on. Iñaki Ortega Cachón was born in Bilbao 43 years ago. He is a spanish professor, investor and entrepreneur. Since 2014 is Director of Deusto Business School at Madrid and teaches in that college: University of Deusto and also in UNIR. Investment Program and Growth Management. IE Business School. Madrid. 2010. Leadership Program in Public Administration. IESE Business School. Madrid. 2007. C.A.P. University of Navarra. Pamplona. 2005. Since July 2005 to June 2014: Managing Director of the Economic Development Agency “Madrid Emprende” which belongs to Madrid City Council. 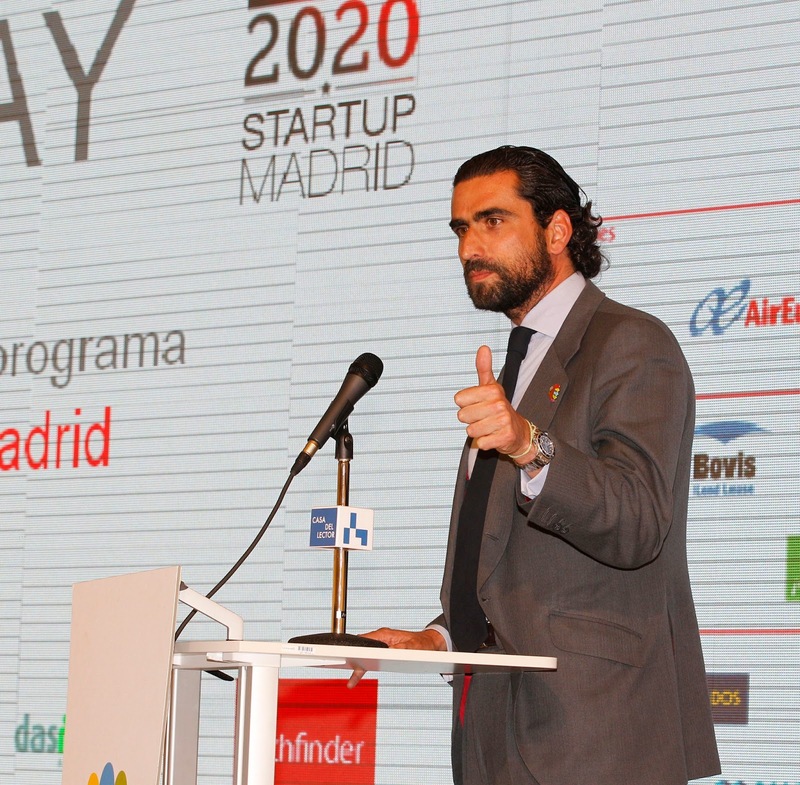 He started this municipal Agency, which includes a leading service in Madrid to help entrepreneurs, a network of seven business incubators with a pioneering approach and new economic development programs especially in areas of finance, industry innovation and attraction startups and foreign investment. During his management it has been achieved among others, the following awards and achievements:IEDC-International Economic Development Council for the best project-world entrepreneurship, EBN, European Business Network, as the first and only until today CEII-BIC in the Community of Madrid; EURADA-European grouping of Development Agencies, the best promotional material; COIM-College of Industrial Engineers, the entity most innovative "and ATA-National Selfemployment Federation, for their support to the entrepreneur. It has also led to the relocation of the european office of the Interamerican Development Bank (IDB) from Paris to Madrid. He teaches at International University of La Rioja (UNIR is the arcronim in spanish) UNIR university as well as in entrepreneurship programs offered at several colleges of Madrid, also he teaches at the Master in International Relations in the School of Ministry of Foreign Affairs. He is regular columnist on entrepreneurship in economic and co-author of Law in support of Basque entrepreneurs, Plan 3Es of the Junta de Extremadura and the Madrid Global Entrepeneurship Monitor (GEM) among other regional plans. 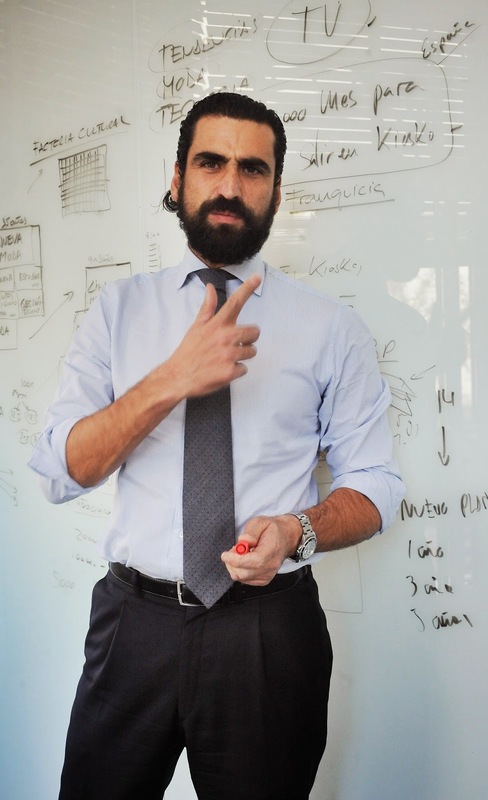 He is the author of the books named "Public entrepreneurship" and "Millennials, inventa tu empleo". Professor at University of Pais Vasco , Institute of Marketing of the Basque Country, Executive MBA from ESDEN in Bilbao and Francisco de Vitoria in Madrid. Entrepreneur, investor and founder of several companies related to training. Member of the Basque Parliament (VI, VII and VII Legislature). Spokesperson for Education and Industry. Executive Secretary for Education and Culture of the Basque Popular Party and President of the youth section of the Popular Party in the Basque Country during the murder of Miguel Angel Blanco by ETA.